Now this is what mountaineering is all about! Must have been a great climb! 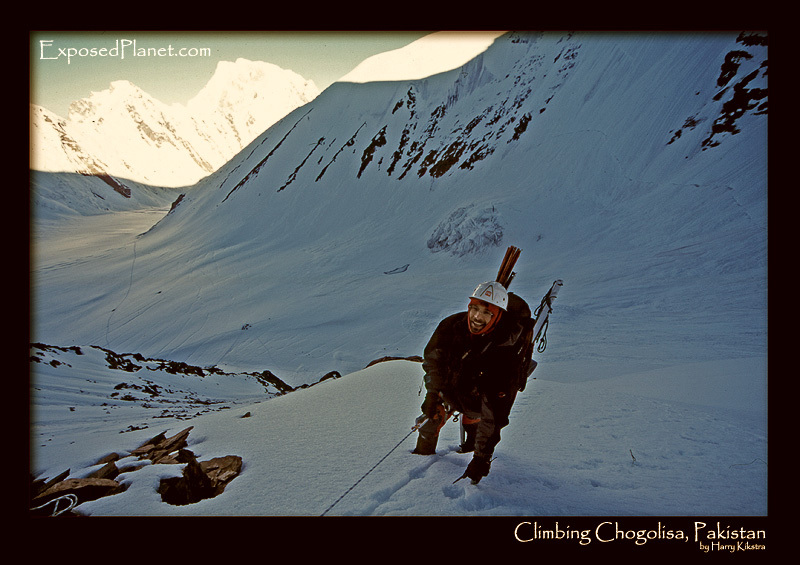 The story behind "Rob Zipplies climbing on Chogolisa, Pakistan"
South African climber and friend Rob is visibly enjoying our climb in the early morning on mighty Chogolisa mountain, fixing ropes for the ascent. We were the only team here, just a few dozen kilometers away from the crowds on K2, the Gasherbrums and Broad Peak. In the back you can see our trail and our ABC, in the middle of the glacier, about the only place that was relatively safeguarded against the constant avalanches. It is so good to be active and in the mountains!